MANGIA BENE! VIV BENE! These Italian words mean “Eat Well!” and “Live Well,” phrases that perfectly describe the Mediterranean Diet – the Italian way of eating that is at once delicious and extremely nutritious. Cucina Italiana! 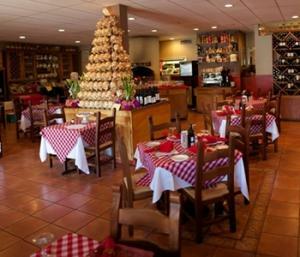 is a celebration of the joys and healthfulness of Italian Mediterranean cuisine. It is a campaign sponsored by the Italian Trade Commission that is designed to make the “gourmet” in you more aware and appreciate of the wonderful foods and wines from Italy! 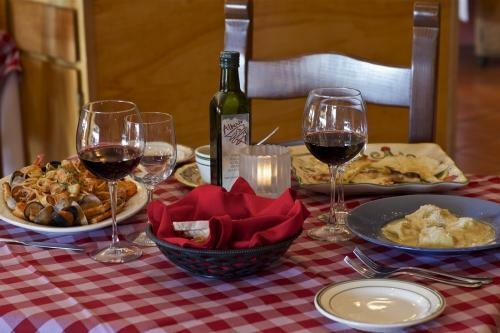 Alberto’s hand makes a lot of his Italian dishes so you feel like you are eating in “little Italy”! Come in just to experience Alberto’s hospitality!